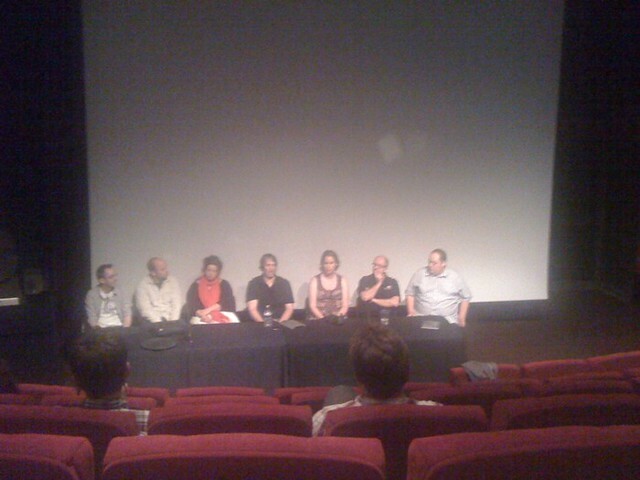 On Wednesday evening I headed into Liverpool for an event at the CUC about iPad application development. 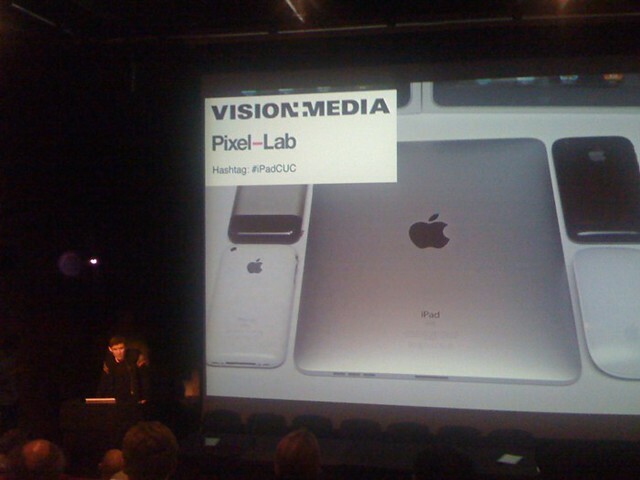 It was run by Vision + Media, an organisation I’ve not come across before that supports digital and creative industries in the North West. My brother (who has had an iPad for a week) has written a pretty thorough post summarising the event so go read that and come back for my thoughts. Much of the event was clearly focused on developing iPad apps and how the marketplace might evolve with the suggestion that iPad owners may be prepared to pay more for apps but prices would eventually be driven down and that a smaller number of higher-quality developers would emerge. I’m not so certain about that – the larger form factor lends itself to a wider range of content and if app developers think they can make a quick buck by repurposing open content to create spammy apps, they will do. 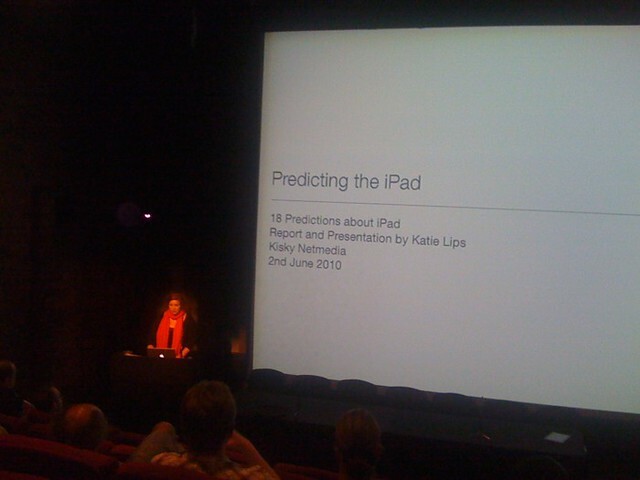 Katie Lips’ talk outlining some research done by her company Kisky Netmedia including some interesting predictions. There was a suggestion that tablet devices will break into Health and Education sectors and while I don’t doubt this will happen at some point, I’d be very surprised it this was mainstream within three years. As I’ve mentioned a couple of times in the last month while you can make improvements to processes by “throwing” money at a problem (by, for example, buying every student an iPad) this approach cannot scale. To take things beyond small-scale pilots you must adapt to technologies that are already deployed or are cheap to do so which right now doesn’t include the iPad. Other interesting talks were Dave Verwer’s introduction to iPad UI patterns which showed off a lot of the subtle thought that’s gone into making the iPad pleasant to use and Guy Dickenson on the future of reading and some of the possibilities the iPad opens up for authors and publishers. In discussions in the bar afterwards it came up that someone who’s had an iPad for two months now has started to notice their usage tailing off. This mirrors my own experience as an early adopter of netbooks. I have one of the first generation Asus EeePC 701 and for a few months I used it extensively. Over time I found the limitations of the device more frustrating (and the epic failure at the 2008 SOLSTICE Conference wasn’t good) and went back to using my full-size laptop for most things. In July last year I bought a Samsung N110 and the experience has been completely different. The larger keyboard, screen and battery have solved virtually all the failings of the first generation device and I use it as my main device outside work. I can see this will happen with the iPad. While the lack of a camera or USB ports might not prevent a lot of people buying an iPad, it could deter it from becoming an integral part of their digital life. This ties in with another point made by Katie Lips that the iPad marks a shift to devices which are essentially designed mainly for consumption: listening to music, watching videos, reading books, all paid for from Apple’s store. While that may be the case it could be the block to speedy adoption. With no USB port you must buy Apple’s dongle costing $30. Want to output video to an external screen – that’ll be another cable you need, and you can only get video out of certain applications. WordPress’ app for writing blog posts involves hand coding HTML while limited access to the file system makes it hard to easily move documents around between applications. Don’t get me wrong – the iPad will change everything. The idea of a simple, instant-on device with a battery that lasts the full day appeals to me greatly. 90% of my digital life is in “the cloud” so I can access it on the move from anywhere with an internet connection. But for me, content creation, curation and consumption must be balanced and I would struggle to find the place in my life for a pure “entertainment” device. I remember when I was studying Computer Science and living in halls – only one person I knew had a laptop, everyone else had a desktop PC. Now when you walk around campus, students can connect to the WiFi from pretty much every building from their own laptop, and mobile phone, and from next semester, many of them will start bringing tablets.